Over the past few days, reports have emerged claiming that Apple could hand up to $100 billion to shareholders as part of its buyback scheme. But now, as CNBCreports, banking giant Barclays has warned that the technology giant may be forced to put more money towards its acquisitions. Speaking on Monday, the bank said this could result in Apple decreasing its capital returns initiative. As a result, it expects to see a decrease in the company’s stock. In a note issued to clients, Barclays has changed the valuation of Apple shares to $157 instead of $168. That’s a decrease of 5 per cent compared to estimates released on Monday. Analysts from the bank estimate that Apple will only give $84 billion to shareholders, instead of estimates of over $100 billion. This will include $52 billion from the current scheme, though. Many people have held on to stock in hope of receiving a large payout from Apple off the back of impressive sales, but Barclays said the risk is that Apple may need to offset disappointing financial results by putting more money towards acquisitions. “Our concern is that a weaker iPhone franchise could require the company to allocate more cash to M&A. In contrast, we think many holders are in the stock for capital returns being the main beneficiary of excess cash,” said the bank. 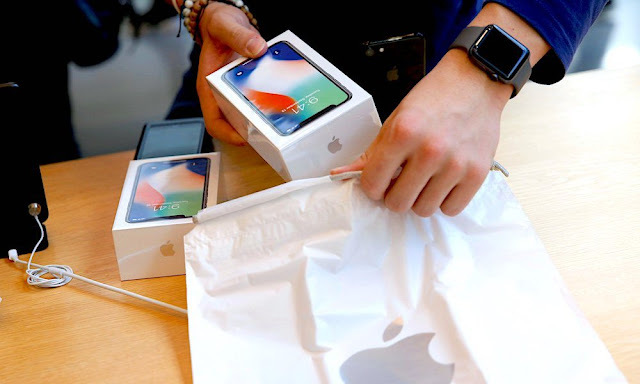 Earlier this year, Apple confirmed it would return more than $250 billion of foreign cash to the United States after President Donald Trump announced new tax incentives.